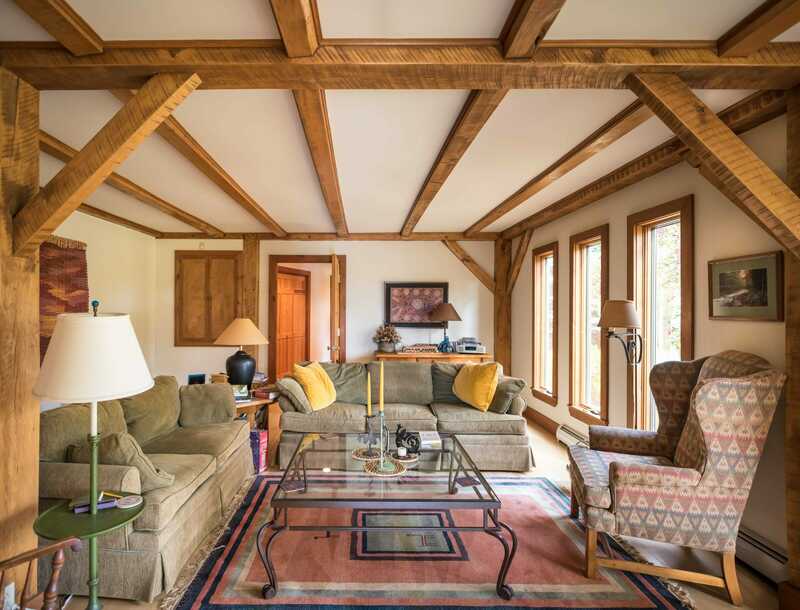 The construction of this property began in 1982 by one of Vermont Timber Works’ owners for his parents and continued over the years by Friant and Kelleher Builders (now Vermont Timber Works). 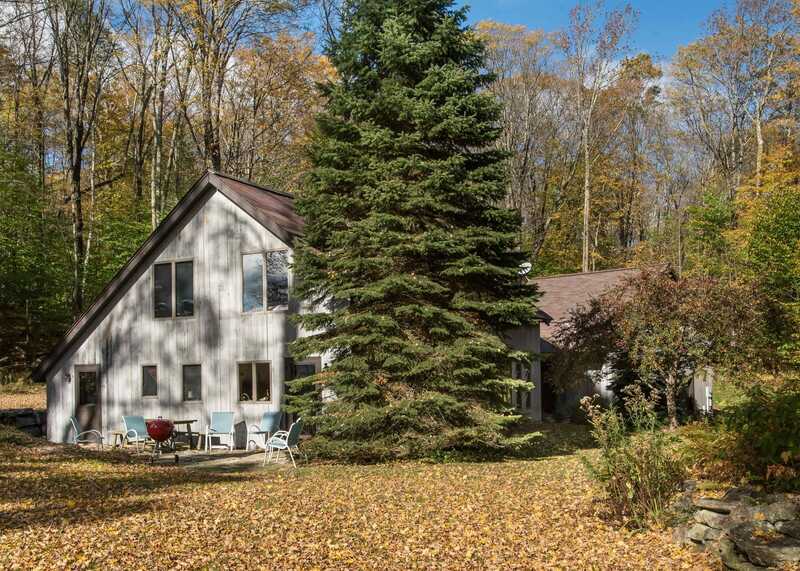 101 Cody Road is a recreational destination-home in the quiet, small-town of Landgrove, Vermont, which is centrally located near the quaint villages of Peru, Weston, and Londonderry…and only 20 minutes from Manchester, VT. 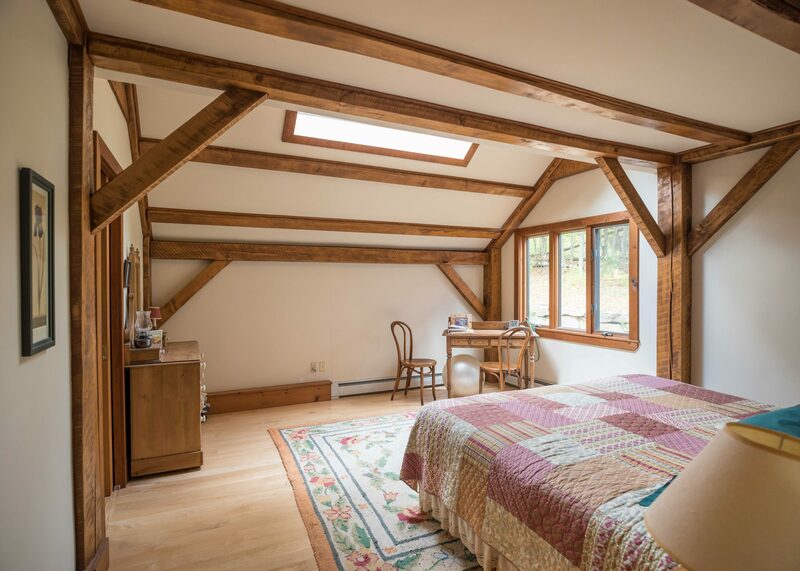 It features a 3,376 sq ft. timber frame home constructed from native maple and pine cut from the property, additional living spaces above a two car garage, a cozy cabin with beds for four people, a large pond, million-dollar views, hiking trails and a two story equipment barn. 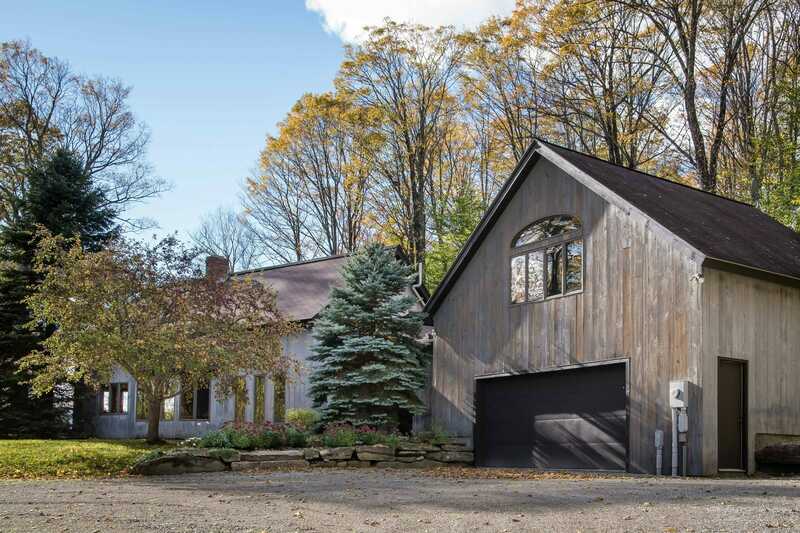 It is situated on 31 spectacular acres close to ski areas of Stratton, Bromley, and Magic Mountain. 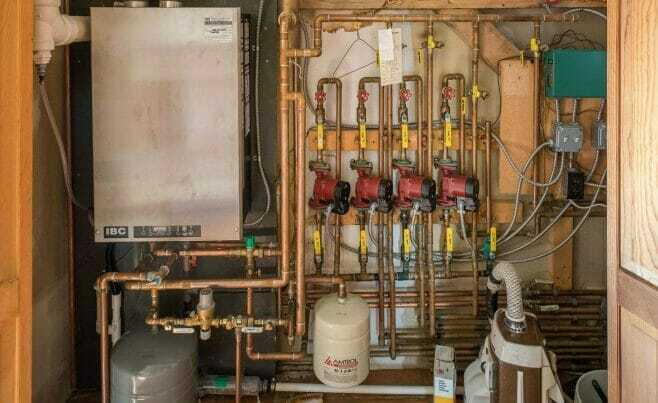 At the ages of 87 and 89, the owners are ready to pass this lovely property onto another caring family who will be stewards for the next generation. 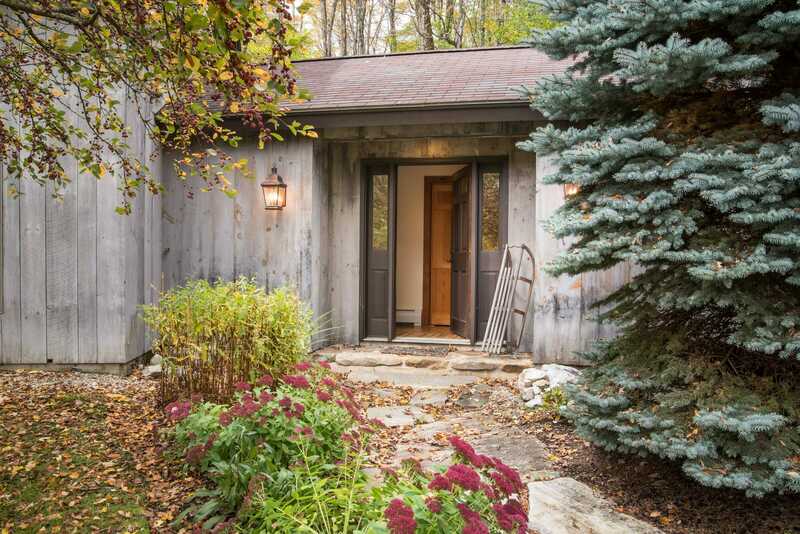 It is offered by Mary Mitchell Miller Real Estate in Weston Vermont at $850,000.00. 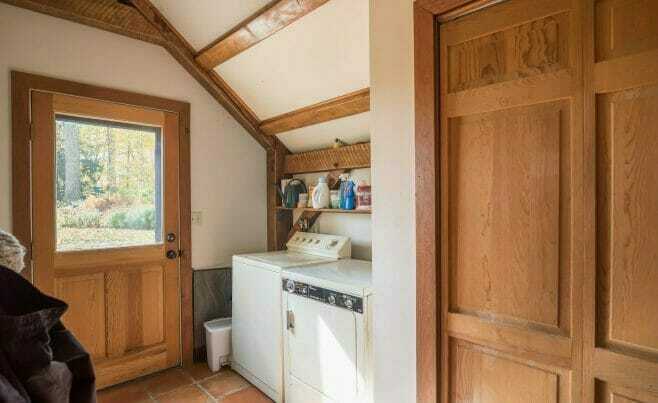 You can also view the home on Zillow. 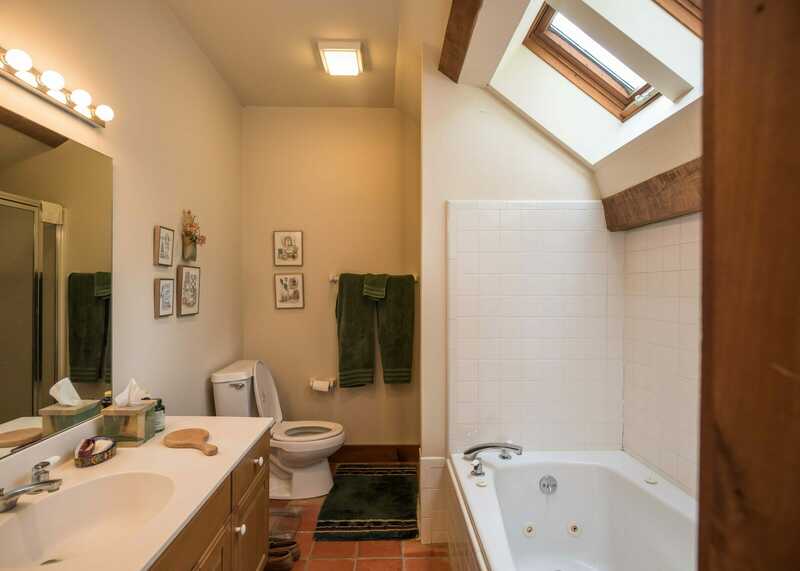 The privacy is exceptional…as is the view. 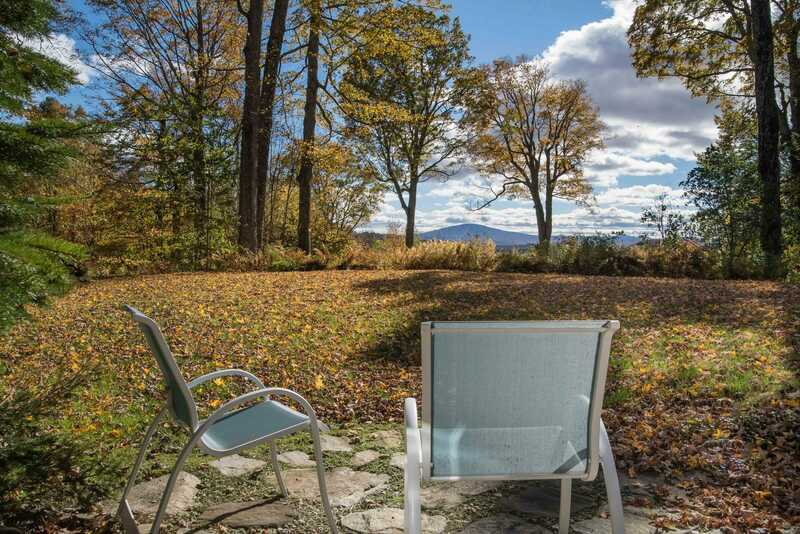 Stratton Mountain is framed by lofty old maples, and both Bromley Mountain and Styles Peak complete the panorama. 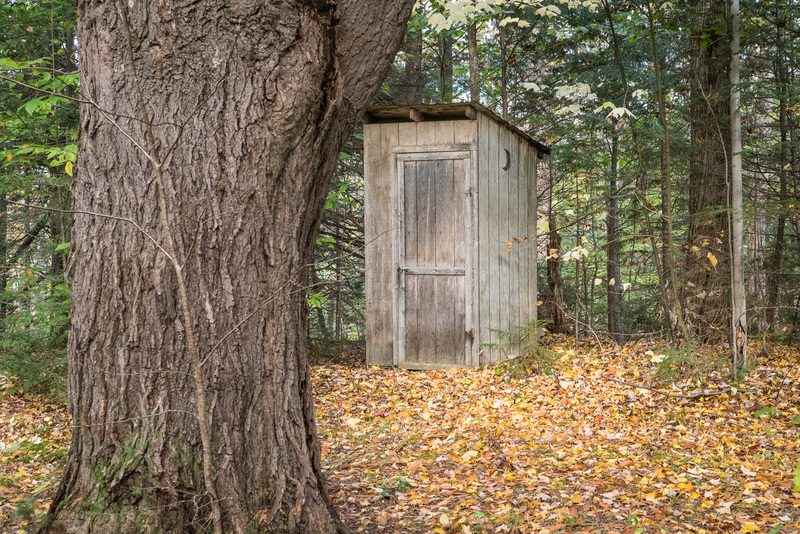 Walking the mile and half of private trails on the property will wash cares away. For the more ambitious, the Long Trail and Appalachian Trail are within easy reach. The fifteen foot deep one acre pond attracts wildlife as well as swimmers and rafters bent on lazing away a summer afternoon, or ice skating in the winter. 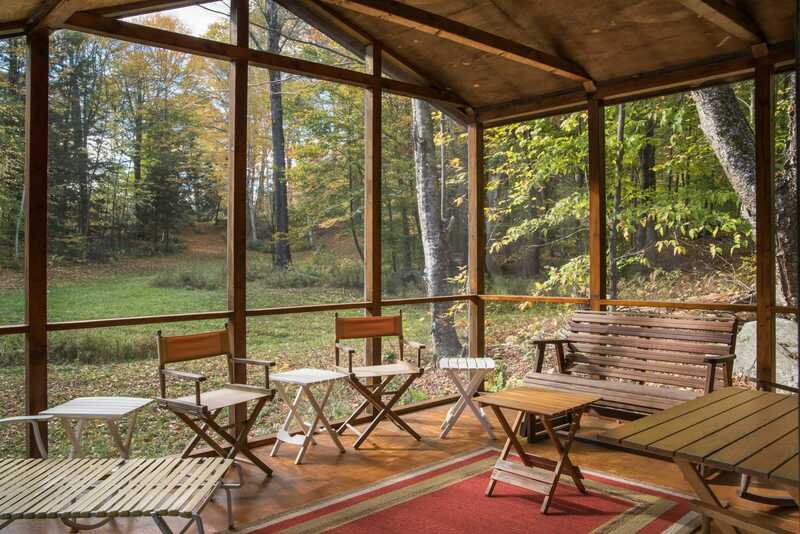 Next to the pond is a furnished cabin that can sleep four with its own wood-stove and a large screened porch for summer parties. 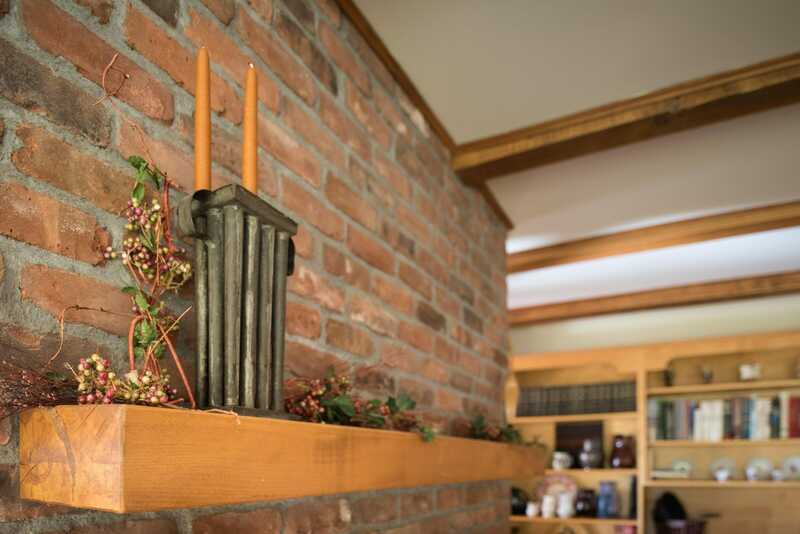 Please take some time to browse, click on the images and explore the home and property. 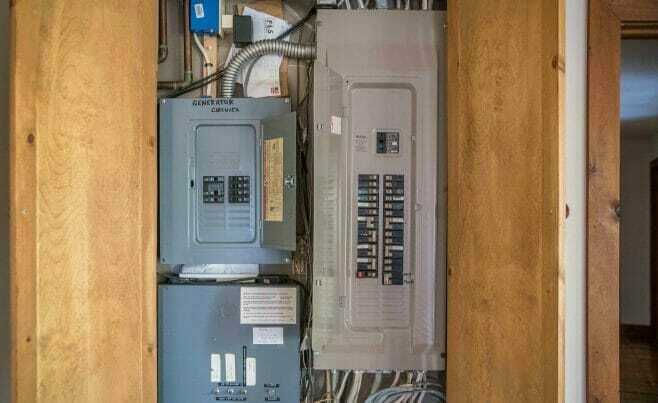 Building started in 1982 by the owner and his son. 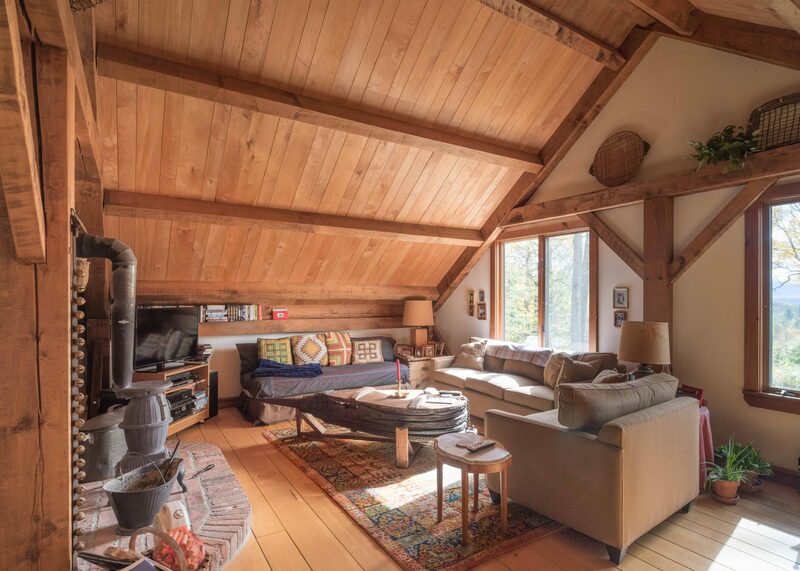 Today, this property has evolved into a wonderful mountain retreat with lots of space and places to enjoy, warm wood stoves to gather around and walking trails to escape to. 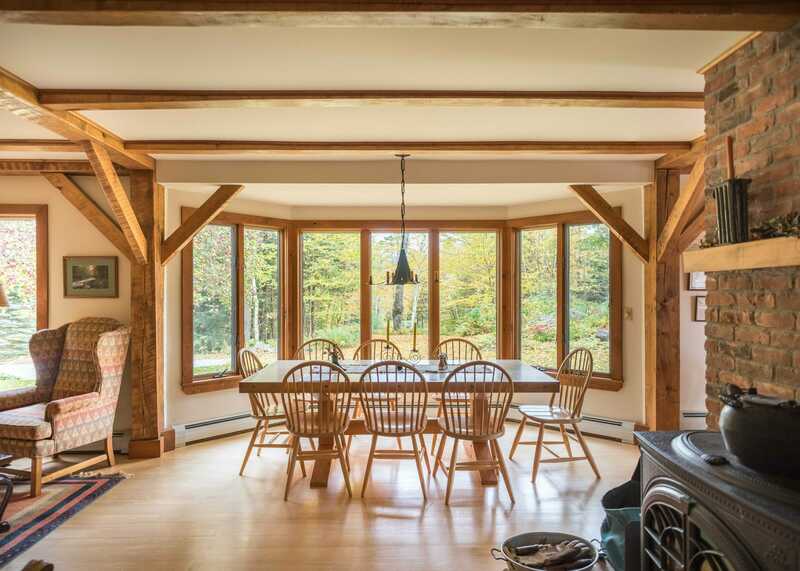 As a mountain retreat, this home is designed to have multiple areas where people can meet and congregate as well as find privacy from others. Friends and family can warm themselves upstairs by a pretty little antique pot bellied stove while taking the view and playing games. 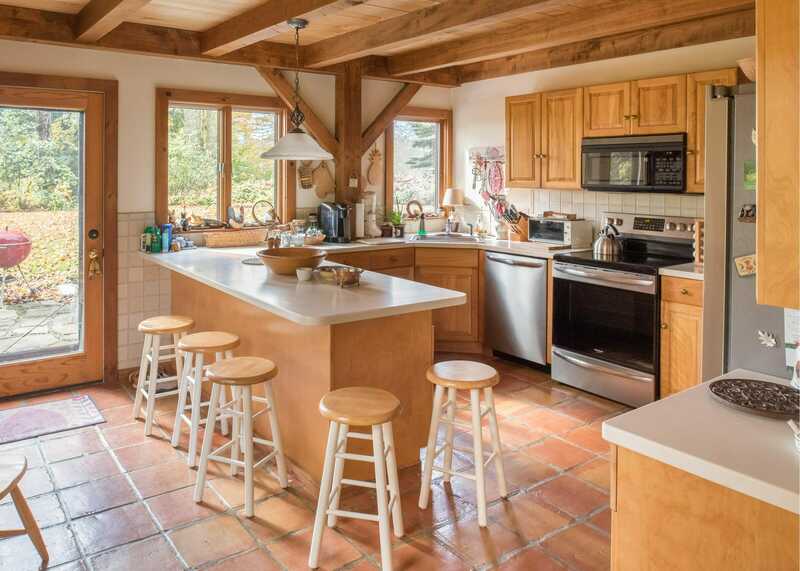 The kitchen is another great place to gather for cooking, eating and enjoying a refreshment while simply looking out the window. 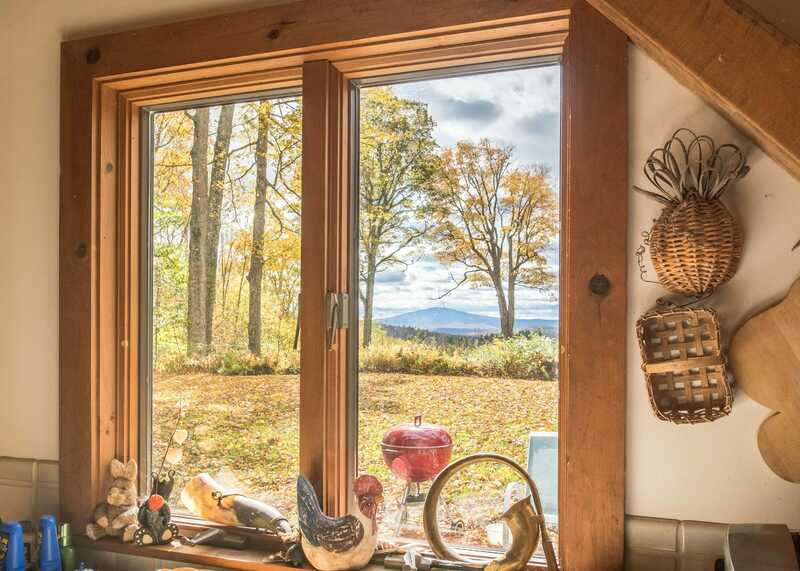 Imagine your family and friends enjoying a meal looking at the view and being warmed by the stove. 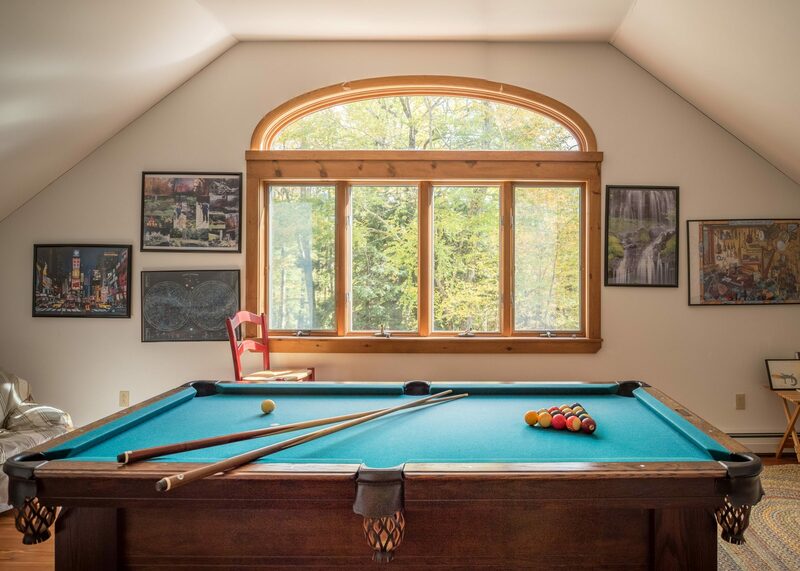 Called the "Shouting Room" by children, parents and grandparents alike, this space above the garage is where children and adults can game and play while their parents and quieter folk can relax far away in other parts of the house. 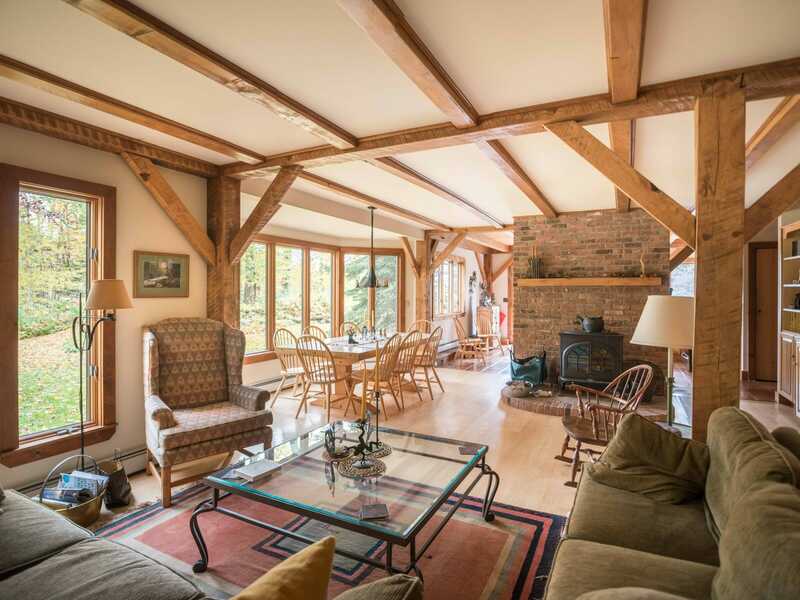 Antique brick and maple beams cut from the property are featured upstairs and down. 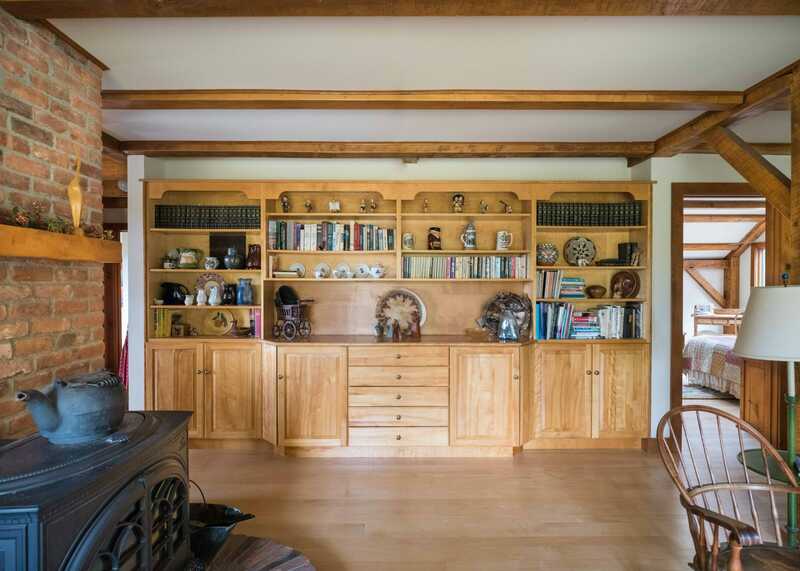 Custom cabinets make a great space to display odds, ends and memories. 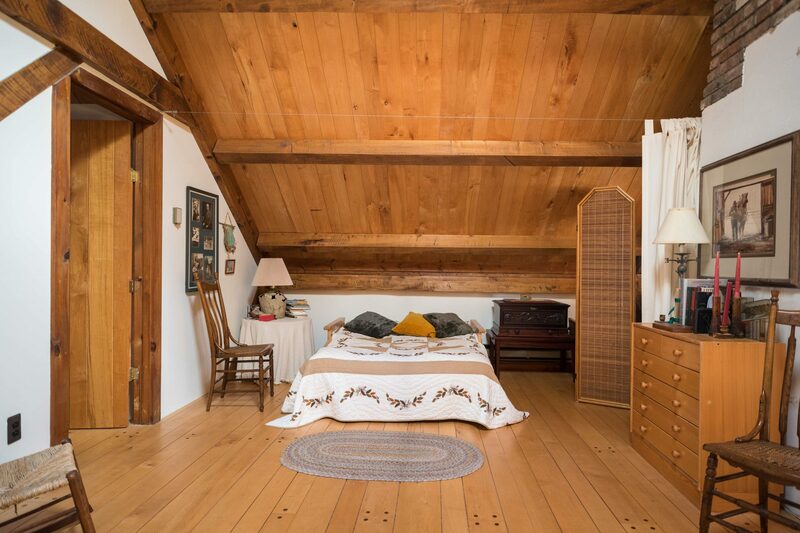 With four bedrooms, and two bonus areas that can accommodate extra guests, there are plenty of places for people to stay. 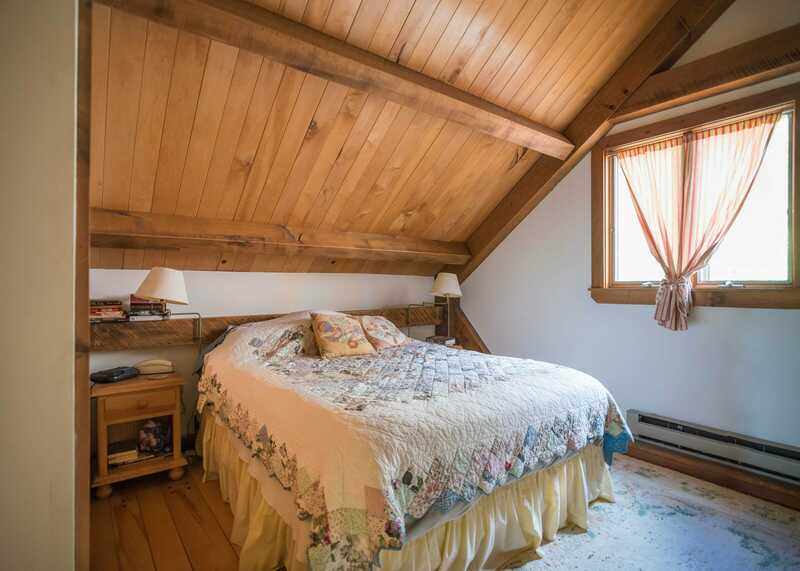 The second bedroom has one queen size bed. 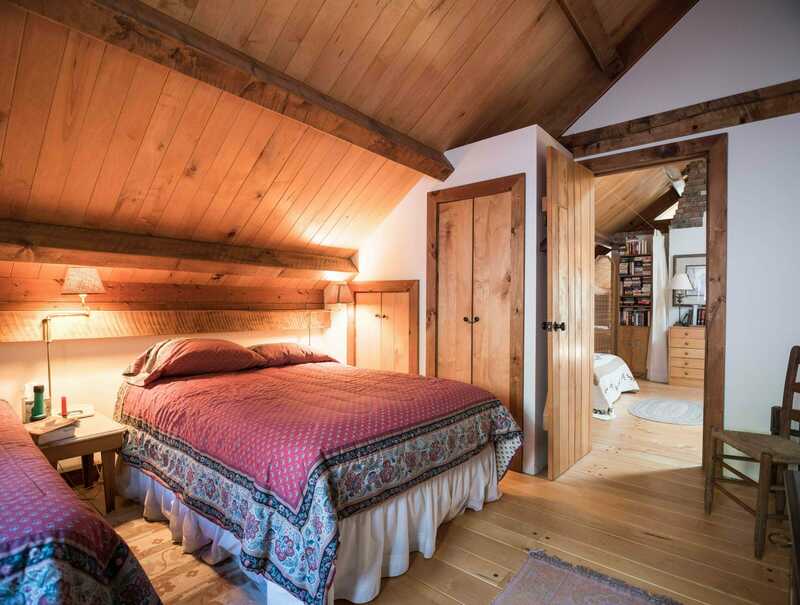 This corner of the spacious up stairs has been used for extra guests, but could be used any way you desire. 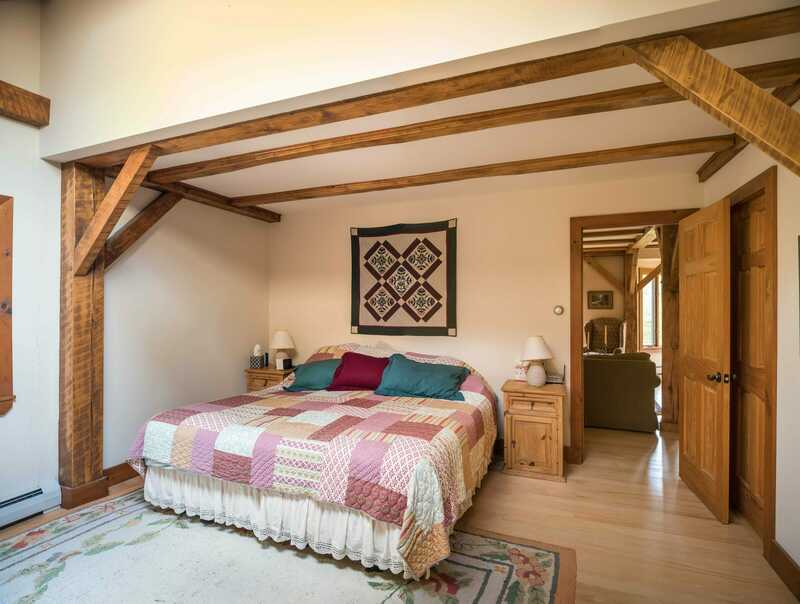 The master bedroom is on the first floor with a private bath and a window overlooking a wild flower garden. 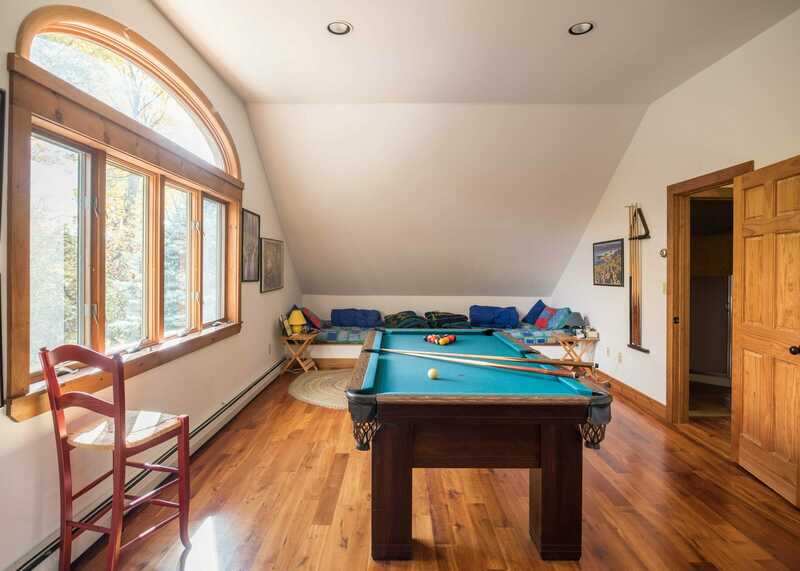 Upstairs, over the garage, is a guest suite with a bedroom, bathroom and shower, and a billiards room with two head to toe bunk beds. 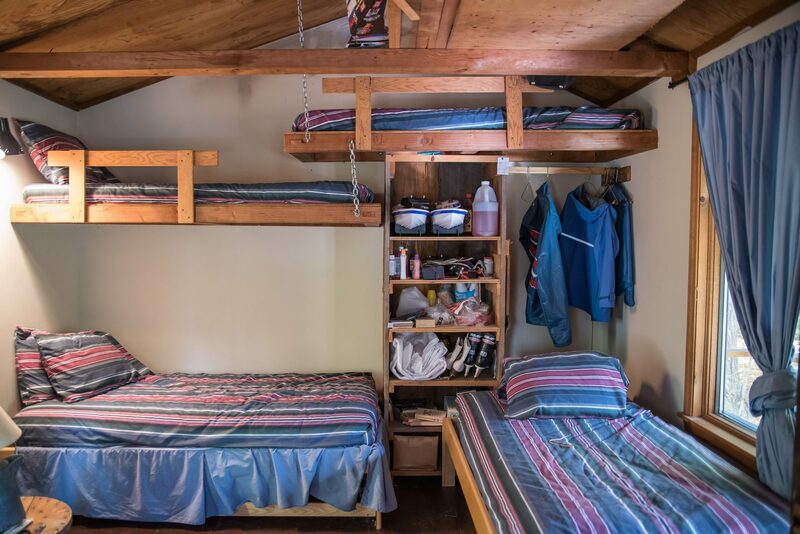 The cabin, located down by the pond, has room for four hearty adults or adventurous children. 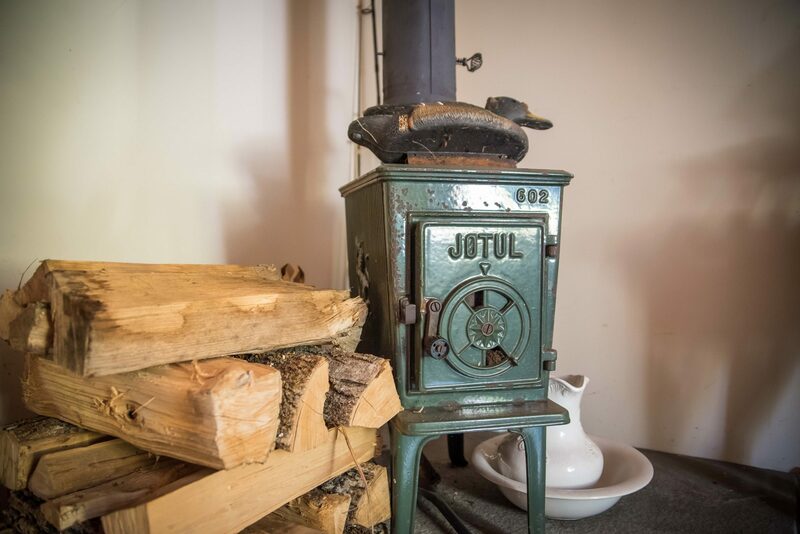 A Jotul wood stove keeps the cabin warm and cozy on chilly nights - or after ice skating on the pond. 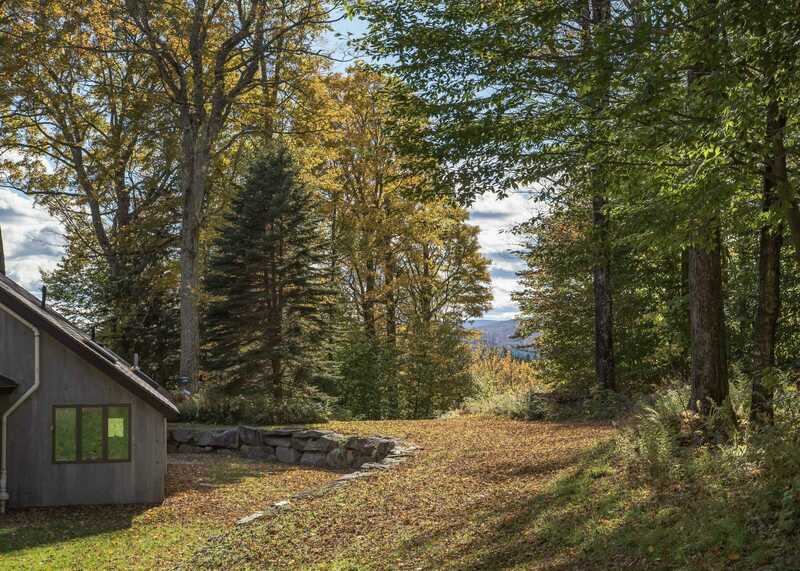 Designed to blend into its mountain environment, the home is surrounded by a wide lawn and rock gardens, stone patio and views in every direction. In the spring, wild flowers pop up behind the house along a stone wall. 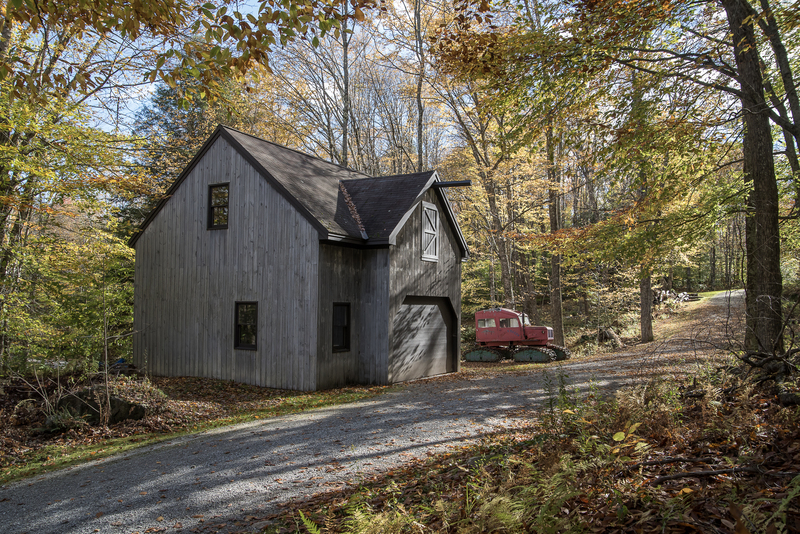 There is an attached two-car garage with rooms above and an automatic generator behind for when the power goes out (an occasional but real event in the mountains of Vermont). 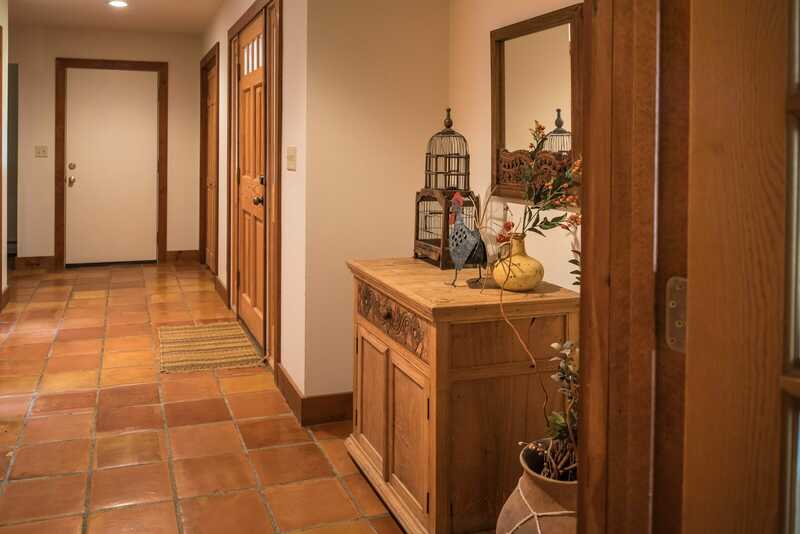 A large tiled mudroom connects the main house and the garage. Closets line the wall not shown providing tons of storage for clothing and gear. Down by the pond, the cabin features there is a lovely screened porch which is a perfect place to relax, read a book, watch the kids swim and play or just gather for appetizers and cocktails in the afternoon. 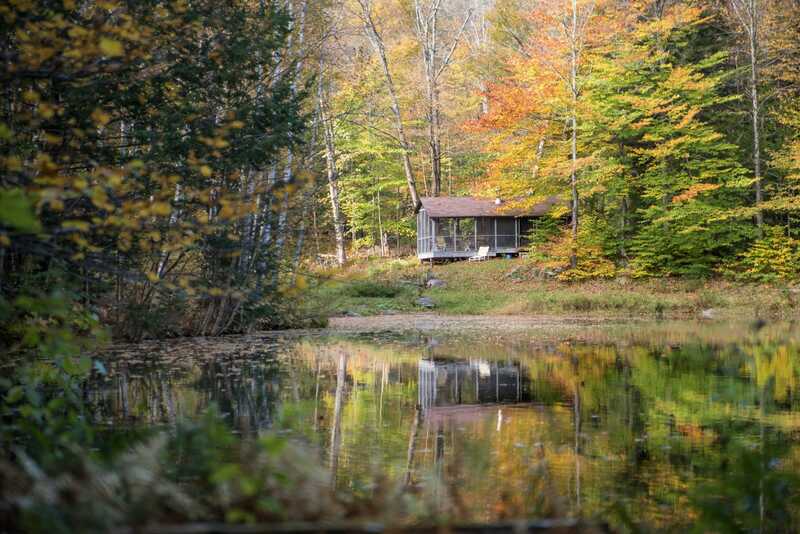 The tranquil pond below the cabin is stocked with bass - promising fish to any grand child who throws a hook in. There is also a sandy swimming area and a floating dock. 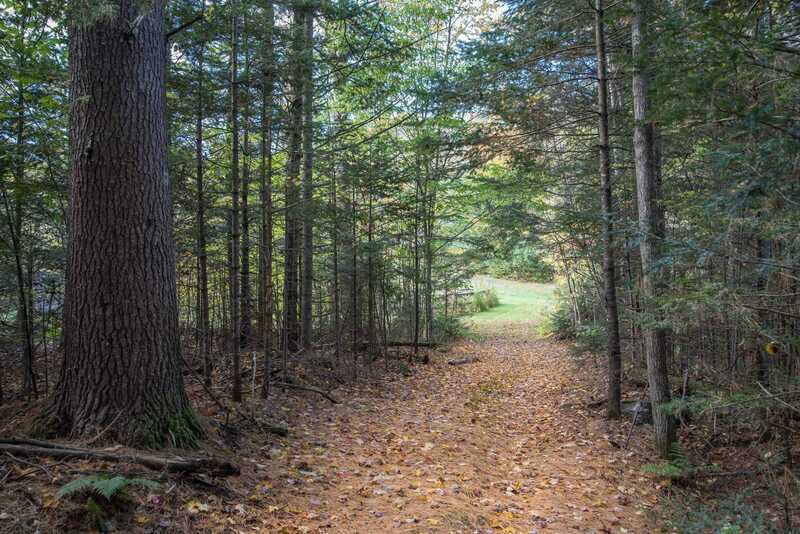 Walking trails surround the 31 acre property. In the 1990's as the owners' sure-footedness became less sure, they called in David Chaves Excavating to bulldoze and add gravel to three loops of trails. Nature hikes in the woods include evidence of moose and bear, pileated wood peckers and barred owls. Notice the enormous white pine tree on the left. 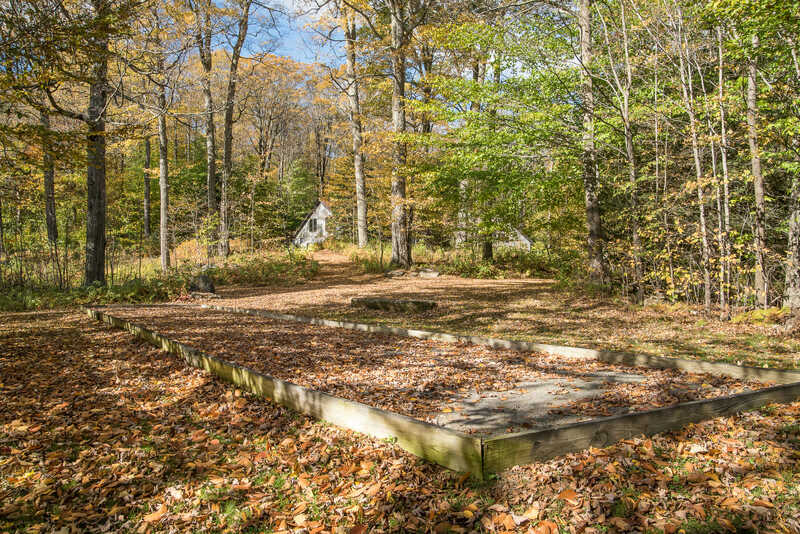 Covered by leaves, this regulation size bocce court is installed on a gravel foundation with a stone dust surface for competitive, and not so competitive play. A stunningly long natural rock bench is the perfect perch for viewers and players. 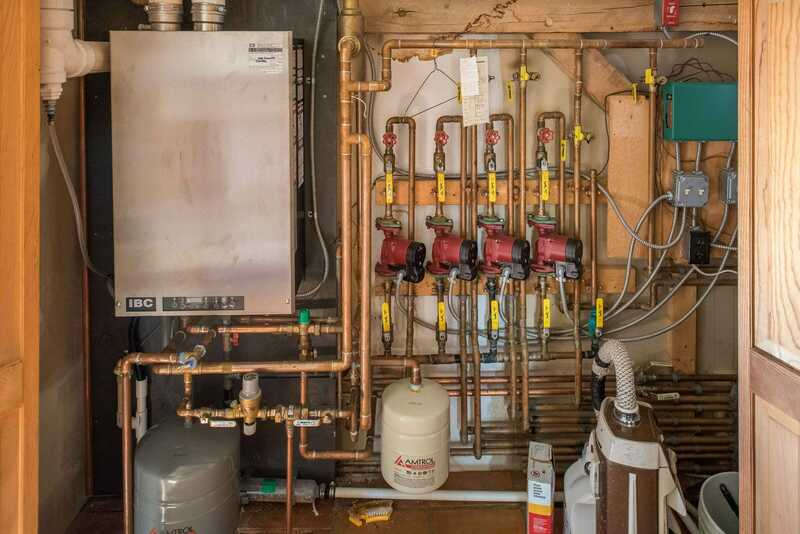 A large two story equipment barn houses the owner's tools and other equipment with room for storage on the second floor. An antique Tucker Snow Cat stands at the ready to groom the trails for cross country skiing. 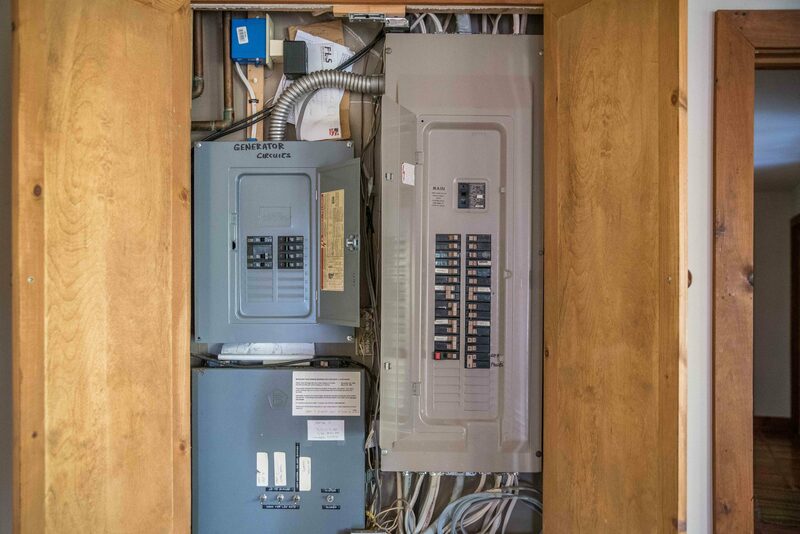 The trail network around the house is extensive and easily walk-able. The owners had the trails leveled with a bulldozer and brought gravel into the soft spots so their jeep and snowcat could drive around for fun and maintenance. A rough trail and property map of 101 Cody Road showing the pond, garden, bocce ball court, barn and trails. 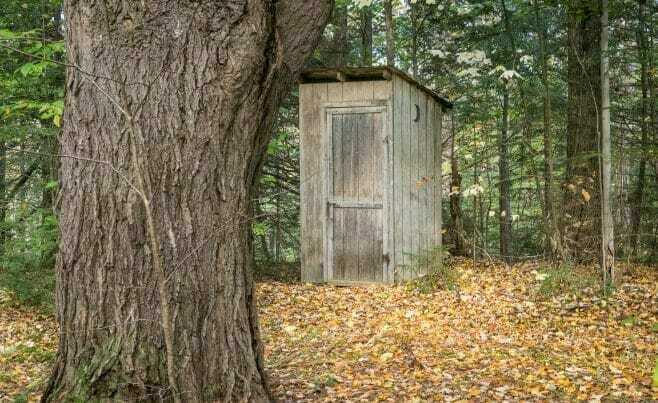 A spot in the woods down by the pond. 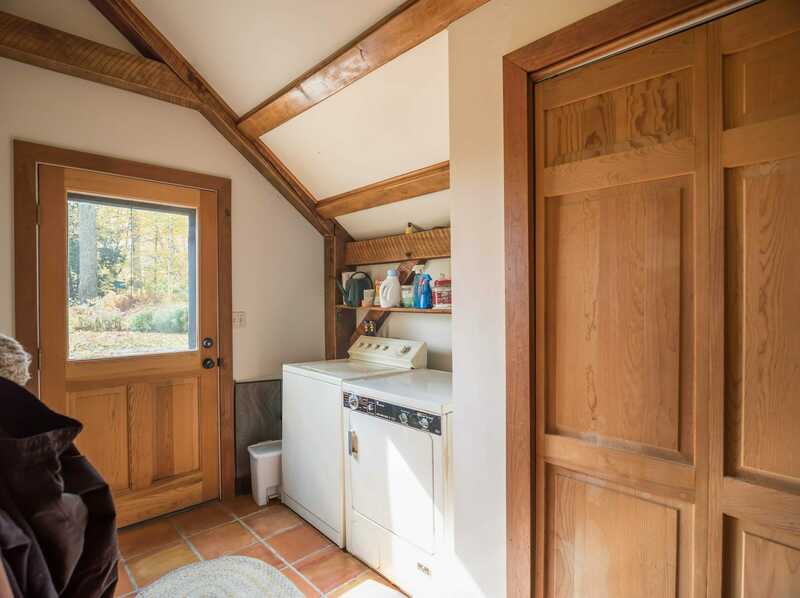 See more information about the Property on Zillow.